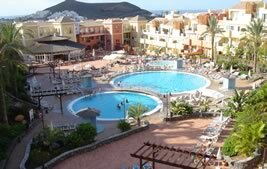 Take advantage of the year-round sunshine of Tenerife with a stay in this new apartment complex, surrounded by tropical gardens in the popular resort of Los Cristianos. 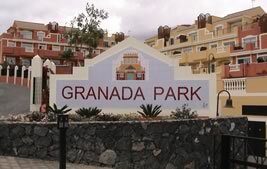 Spend your day beside the Granada Park’s 2 outdoor swimming pools whilst children play safely in their own pool or in the playground. You can also pamper yourselves with a massage or beauty treatment at the on-site wellness centre. 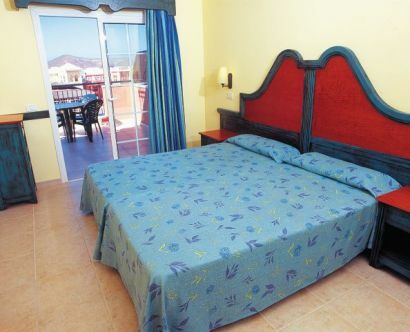 Use your comfortable, well-equipped apartments as a base to explore the island. 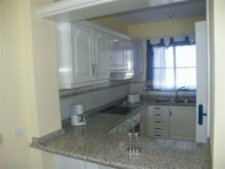 In these you will find a fitted kitchen and bathroom with bathtub. Each one opens onto a sunny balcony or terrace where you can enjoy the sunshine in privacy. 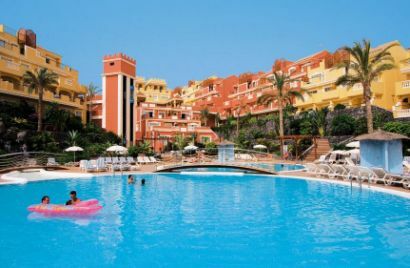 Modern, attractive, spacious complex Arabic-Andalusian style. 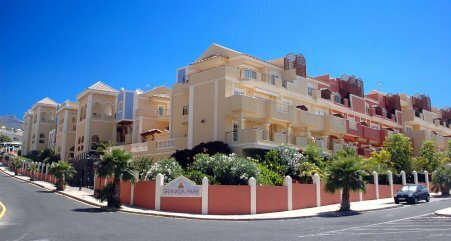 Large and bright 1 bedroom apartments. 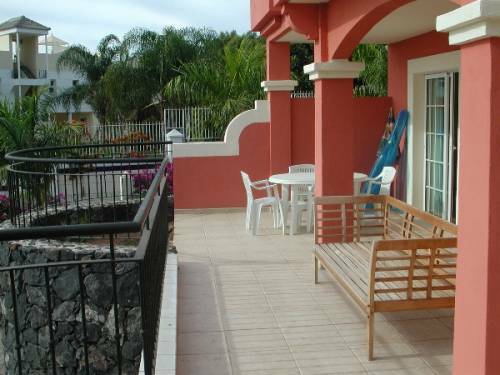 Many gardens surrounding the complex offering a relaxed environment for the enjoyment of their vacation.e sus vacaciones. 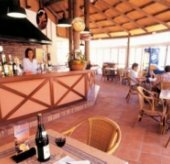 The Pool Bar offers refreshing drinks and snacks. 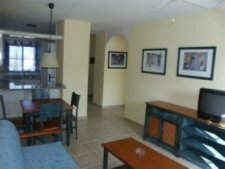 General: Restaurant, Bar, 24-Hour Front Desk, Newspapers, Garden, Terrace, Non-Smoking Rooms, Rooms/Facilities for Disabled Guests, Family Rooms, Elevator, Safety Deposit Box, Shops in Hotel, Gay Friendly..
Activities: Golf Course (within 3 km), Fishing, Solarium, Massage, Children's Playground, Billiards, Hiking, Diving, Mini Golf, Outdoor Swimming Pool. 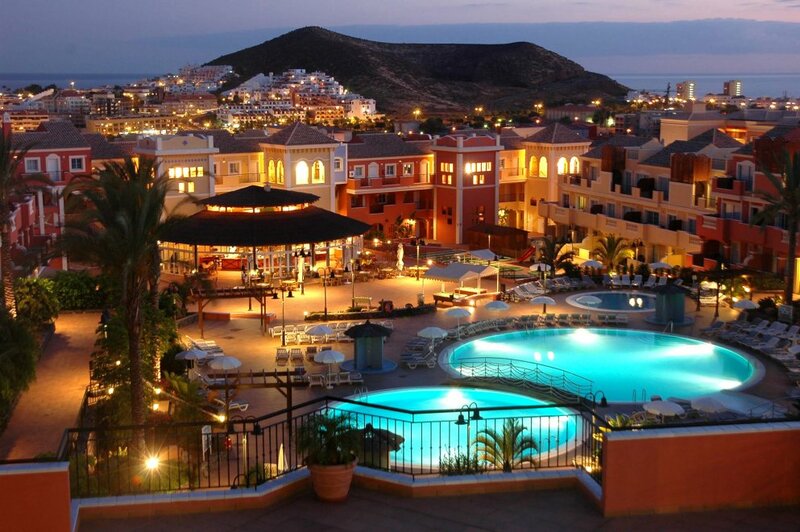 Services: Barber/Beauty Shop, Currency Exchange, Bicycle Rental, Car Rental, Tour Desk, Fax/Photocopying. Guest Parking: Free public parking is possible at a location nearby.